Intelligence involvement: Believed he was spied on by the FBI during or after the production of Notorious, is the subject of an FBI file but from a later period. Culture involvement: World famous film director, largely created the spy film genre in the 1930s. 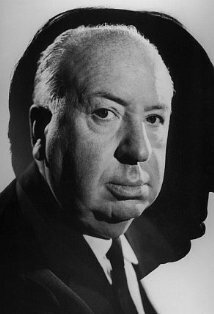 Bio: Sir Alfred Joseph Hitchcock was born in Leytonstone in what is now part of London, the son of a normal family of mediocre means. After a brief stint in the Royal Engineers during WW1 he began writing short stories, often with the narrative twists and comic-macabre subjects that came to dominate his films. After initial writing and directing forays proved unsuccessful, Hitchcock’s filmmaking career really took off with his first thriller, The Lodger: A Story of the London Fog, in 1926. 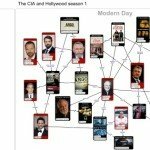 In the 1930s, as British writers came to dominate the spy novel genre, Hitchcock practically invented the spy film as we now know it. The Man Who Knew Too Much, The 39 Steps, Sabotage and The Secret Agent were all very successful movies. The 39 Steps was originally a WW1 invasion-paranoia story by John Buchan, reworked in the 30s for an audience anticipating another war with Germany. Sabotage is based on Joseph Conrad’s classic novel, itself inspired by the theories and intrigue surrounding the 1894 explosion in Greenwich park. 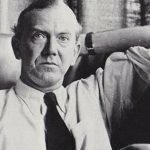 The Secret Agent is an adaptation of Somerset Maugham‘s Ashenden spy stories. Buchan and Maugham both worked for the British government in WW1 in propaganda and intelligence roles. After moving to Hollywood around the start of WW2, Hitchcock continued to prove himself the world’s most adept thriller film director. While most of his films in the first 20 years or so of his US career were psychological thrillers rather than spy stories, he did return to the spook genre as the Cold War reached its peak. In 1959 he made North by Northwest, the first film to mention the CIA by name. This was followed by Torn Curtain and Topaz, the latter in particular being an uncannily accurate portrayal of events surrounding the Cuban Missile Crisis. 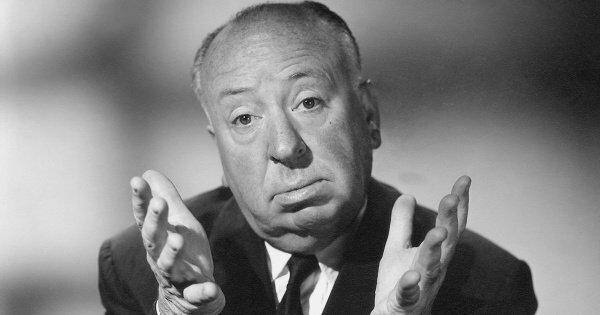 Hitchcock died in 1980, in the middle of working on yet another spy thriller that will likely never be finished. His legacy as one of the great filmmakers of all time has recently been tarnished with the portraits offered in film and TV biopics. 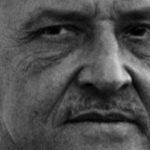 That Hitchcock was a voyeuristic man who likes putting beautiful women in front of a camera and then killing them should come as no surprise to anyone, and if anything the success of his films shows that he was right to believe that many people are captivated by such images. 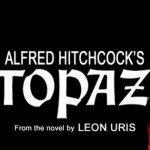 In response to a recent FOIA request the FBI released a file on Hitchcock that shows that the FBI intervened in the production of a Hitchcock TV thriller to have an FBI agent character in a minor role written out of the script. While the show was being shot a line was inserted that made it clear that a private detective character was ex-FBI and so the Feds also had one of their informants involved in the show’s production try to have this removed from the final edit. In the end this was unsuccessful, but the FBI’s review of the show says that ultimately the portrayal was ‘unobjectionable’. You can download the file here (PDF, 25.1MB). This is not the complete FBI record on Hitchcock, and indeed the FBI should have found other records mentioning Hitchcock when they searched their database, such their files on Ray Bradbury and Ted Kennedy.